Simple to use, this pen style colony counter provides an accurate way to count colonies without the space requirements and expense of an automated system. The lightweight, comfortable to hold, pen-style design reduces the likelihood of error, combining all aspects of counting into one motion. 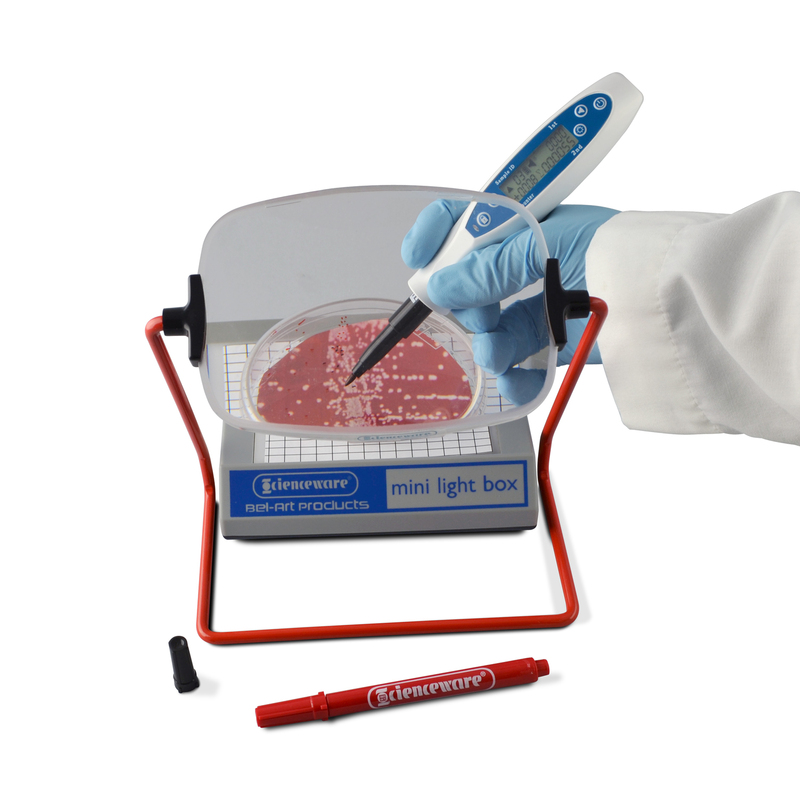 The Scienceware® Colony Counter provides a cost effective and accurate way to count colonies of bacteria or other microorganisms grown on an agar plate. 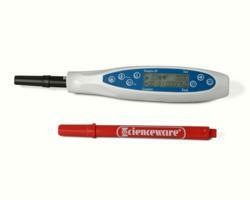 The Scienceware® Colony Counter is a simple to operate device that marks, counts, and gives an audible and visual alert each time a count is registered on the digital display. The lightweight, comfortable to hold, pen-style design reduces the likelihood of error, combining all aspects of counting into one motion. Error is further reduced by the ability to count both up and down to verify sample counts. Able to store up to 35 sample counts in its memory, it can also display the sum total of all colonies counted. The display has a backlight for easy viewing in low light conditions; the audible alert can be turned off if desired; and the counting function can be locked to prevent error during breaks between counting. Long life, red and black felt-tip markers, a protective storage case and a 3V lithium battery are included. Also available is the Scienceware® Colony Counter System that includes the new Colony Counter, a magnifier, and a lighted counting grid. Suggested list price for the Scienceware® Colony Counter, catalog no. F37862-0002, is $225.00. The complete Scienceware® Colony Counter System, catalog no. F37863-1000, has a suggested list price of $585.00. Replacement battery and pens are also available. 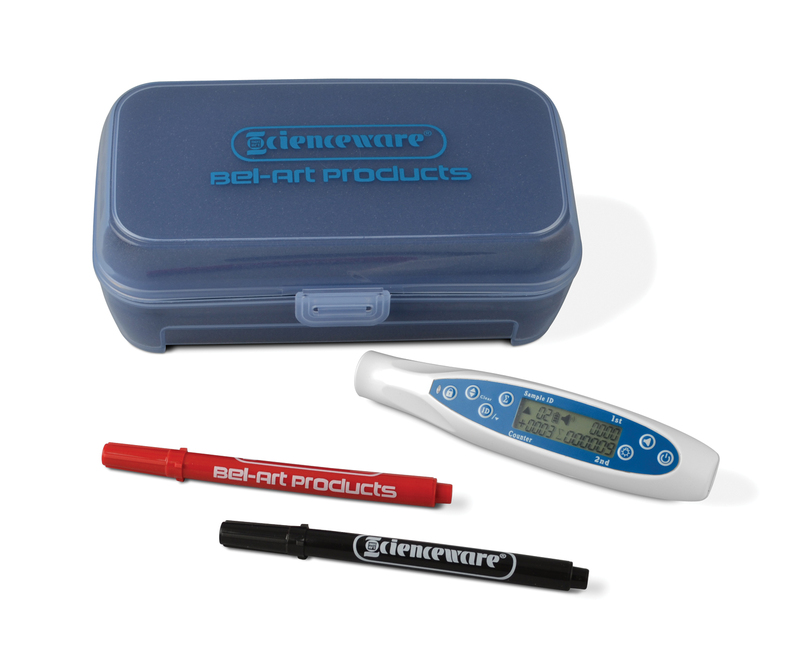 For more information on the Scienceware® Colony Counter, or the complete line of laboratory offerings from Bel-Art Products, call 1-800-4BELART, email info(at)belart(dot)com or visit http://www.belart.com. 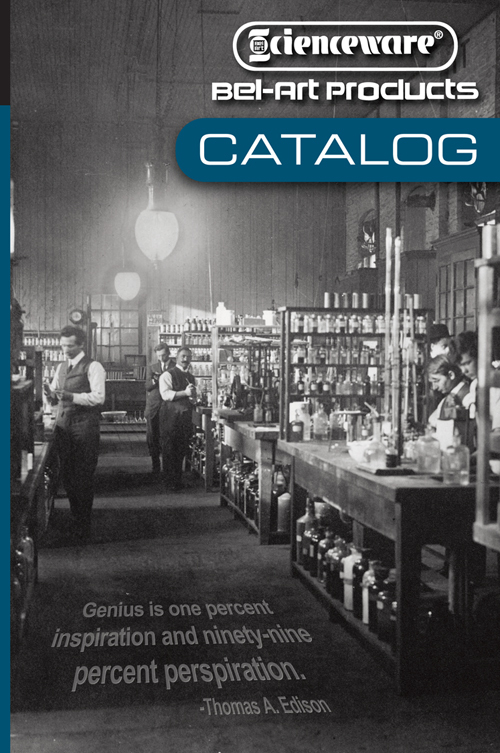 To request a FREE copy of the Bel-Art Products 2011 Catalog, click here. Bel-Art Products simplifies tasks with innovative product solutions for science, industry and healthcare. Over 3500 items from safety wash bottles to fume hoods are manufactured and marketed under well-known brand names including Scienceware® laboratory products, Spinbar® magnetic stirring bars, Magic Touch™ icewares, Sterileware® sampling tools, H-B Instrument™ thermometers and hydrometers, Secador® desiccator cabinets, KLETT® colorimeters, and Poxygrid® racks. Established in 1946, Bel-Art Products is a United States based manufacturer headquartered in Wayne, NJ.